The 2019 Lincoln Continental for sale at Jarrett Gordon Lincoln in Winter Haven, FL - near Lakeland, Haines City, Lake Wales, Bartow, and Auburndale - sets the standard for sophisticated sedans. Glide through town while sporting sleek design features like the signature Lincoln Star mesh front grille, dual chrome exhaust tips, and bright fender vents. Adaptive bi-functional HID headlights and LED daytime running lights provide even more practical style that's sure to turn heads at every corner, while you take in the comfort of luxury soft-touch seats and a leather-wrapped multi-function steering wheel. Your journeys are powered by a thrilling 3.7L Ti-VCT V6 engine and 6-speed SelectShift® automatic transmission with paddle shifters. If preferred, you can instead choose the available twin-turbocharged 3.0L V6 engine with 400 horsepower. Either selection gives you an exciting drive no matter where the road takes you. Convenient tech features like the optional Head-Up display1 and standard SYNC® 3 infotainment system with an 8.0-inch touchscreen are on hand to give you an experience that's both user-friendly and connected. The Lincoln premium audio system with 10 speakers plays your favorite music with crystal clear sound quality, meaning you can have your own personal concert from inside the cabin. It's a great day to drive home a new 2019 Lincoln Continental. We've got amazing offers on 2019 models and new auto loan rates are at their lowest in years. Visit the dealership located at 3015 Lake Alfred Road in Winter Haven, FL to take your test drive! 1Don't drive while distracted. See owner's manual for details and system limitations. Now, navigating traffic can feel a little more effortless. 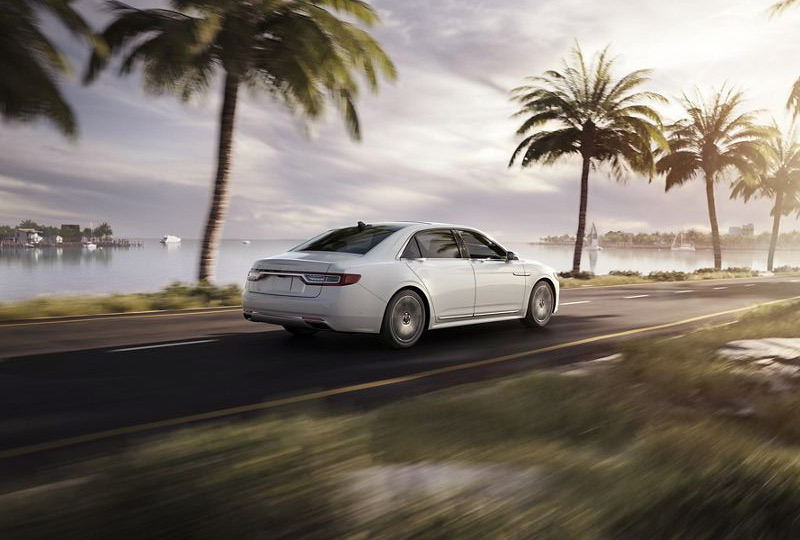 Adaptive cruise control with stop-and-go marries camera and radar, enabling the Continental to detect and adjust to the pace of nearby cars.61 Stop-and-go functionality allows the vehicle to come to a complete stop and restart when traffic begins to move. * *If stop is longer than three seconds, driver must tap accelerator pedal or push resume button to start the vehicle moving again. - Driver Assist Features (BLIS, cross traffic alert, collision warning, active park assist, adaptive cruise control, and rear view camera) are supplemental and do not replace the driver's attention, judgment and need to control the vehicle. By allowing drivers to keep their eyes on the road, the Head-Up Display** helps being aware of the road ahead easier. It contributes to a custom driving experience by letting drivers choose what data to display, from standard driving information to adaptive cruise control settings, lane-keeping information and more. 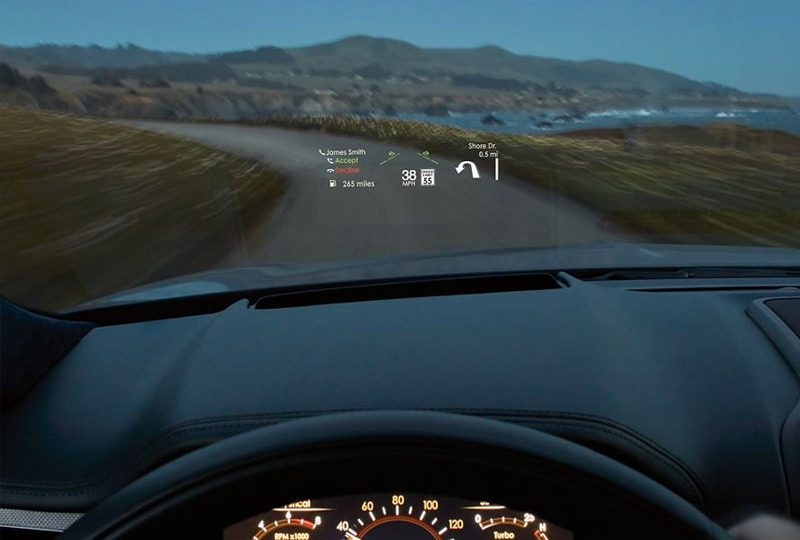 The Continental Head-Up Display, with its adjustable viewing position, is the biggest and brightest windshield-projected informational display in its class.† Plus, digital light projection, another industry-first for Lincoln, allows the display to be visible in more ambient lighting conditions than systems offered by competitors, even when the driver is wearing polarized sunglasses. **Don't drive while distracted. See owner's manual for details and system limitations.†Class is Luxury Full-Size Sedans based on Lincoln segmentation. 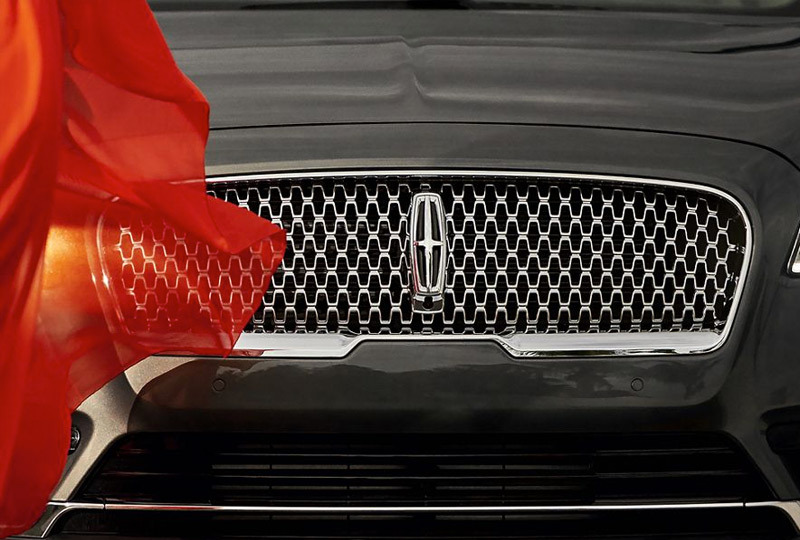 The bold one-piece Lincoln signature grille - featuring distinctive Lincoln Star mesh - is designed to turn heads and widen eyes.